I waited 17 years for this moment and the waiting was indeed the hardest part. 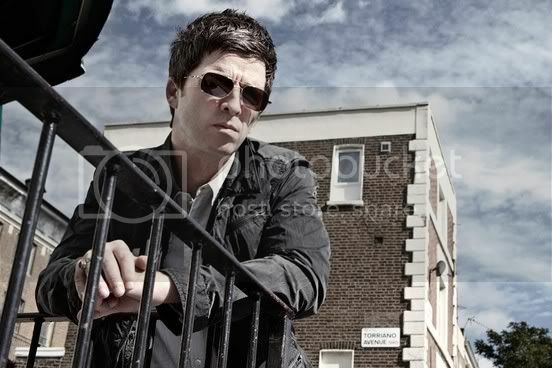 Serious Oasis fans know not only did Noel Gallagher write the overwhelming majority of the band's biggest hits and most important songs, he also contributed piles of major works that were packed away as B-sides to Oasis singles during their run from 1994-2009. I made mixtapes, mix CDs in the era of CD burners, and iPod playlists collecting the Noel-sung songs and marveled at what an amazing songwriter he is, how underrated he is as a singer, and hoped with all my heart he'd one day make a proper solo album to supplant these homemade collections of mine. I didn't want it to come at the expense of Oasis but the chemistry in that band was, on its best day, combustible so there was an air of inevitability they'd one day part ways and that would be the path to Noel going solo, which brings us to Noel Gallagher's High Flying Birds. I had weeks to listen to the three singles and corresponding b-sides in advance of getting my hands on the album, which I've now had for a month. So why the long delay in getting a review written? To borrow from The Chief himself, "Boy, you lazy." Laziness is part of it but there's more than that. What do you say when a dream comes true and lives up to your greatest hopes? I thought it would be easy, and I thought wrong. I'm not taking the piss out of contemporary pop music but somewhere along the way, pop music downplayed melody in favor of beats. It's not my cup of tea (most of the time) and there have been great, interesting pieces of music constructed with that approach but listening to this makes me long for the old days when melody mattered more. Gallagher has always been a classicist, to the point of being accused of being derivative and a knockoff but he's much more than that. For all the knocks, he's one of the few artists in the rock world who understands the power of melody and consistently, faithfully builds and executes them and that's why this is nearly everything I hoped a Noel Gallagher solo record would be. High Flying Birds is bursting with great melodies adorned with horns and string arrangements, and harmonies. Gallagher played with these sounds in Oasis sometimes to excess but there is no ridiculous psychedelic blather or bloated songs incapable of making the grand statement they for which they were intended. There are only 10 songs and only two exceed five minutes. These are classic pop anthems with bombast kept to a minimum, and that's important because the lyrics are the one tender spot on the album. The one element missing from the Noel Gallagher playbook is the tender, acoustic moment wherein our wisecracking, tough-as-nails Mancunian goes singer/songwriter, reaching deeper, showing us a beating heart beneath it all. The lyrics on HFB aren't shocking but they aren't special. Our hero has gone for sound over statement, and the sound of the record is pretty terrific. I lived long enough to live in a dream in my record machine: a real Noel Gallagher solo record. If I can hang in there until April, I'll be sixth row, center, to see and hear him perform these songs in Atlanta along with a few of those Oasis classics. It's all been worth the wait.